The summer break is already here for some students, which means needing to move from one form of accommodation to another. A number of students will be in search for a solution to storing their belongings over the break. Some might need storage for a few weeks, few months or even a whole year. Every university will have different policies when it comes to moving out over the summer. Some landlords will have rules on storing items over the summer; this is something that you will have to double check with your contract. If you live in halls then you will need to move out towards to end of exams. Many students will have their parents come and pick up their items for them, although some student’s family homes could be too far away for them to this, which is why investing in storage for the summer is a great idea. It is important to look around storage units to make sure you rent the correct space. If you know that you are going to be visiting your storage unit often, then it is important to check the opening times so you know when you can and cannot visit. It is important that if you are storing a mini fridge to keep the door open and make sure that it is defrosted. If mini fridges are a little damp then this could result in a build up in mould. Wrapping your breakables, such as plates and glasses, up in bubble wrap and storing in boxes, will stop them from smashing and breaking. If you are in need of more information the best thing to do is to contact your nearest storage facility. 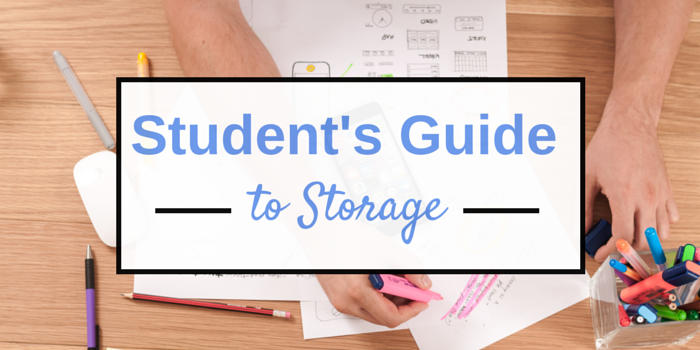 Students in Cardiff, Swansea and Leicester can find out more about our student storage here.